JUST MILK is 100% long life milk and nothing, but nothing else. How do we make it long life without the need for preservatives or additives? Through a simple process where we heat the milk to 140°c for a few seconds (Ultra High Temperature – UHT) which gets rid of every single spore present in untreated milk. This means you can store it in the cupboard for months and it won’t go off. Just stick it in the fridge once you open it. JUST MILK Lactose-Free* is a vital source of many essential nutrients, including protein, calcium and B vitamins, and plays a crucial role in keeping teeth and bones healthy perfect for the entire family. JUST MILK is UHT (long life) milk. Just as good for you as refrigerated milk with the same calcium and with barely a trace of saturated fat; our skimmed milk is as versatile in the kitchen as pasteurised ‘fresh’ milk. Many of our customers think the creamy taste of our skimmed milk is unbeatable. JUST MILK is exactly as described, milk and no other ingredients or additives. JUST MILK is UHT (long life) milk. Just as good for you as refrigerated milk with the same calcium; just as delicious and is just as versatile in the kitchen, as pasteurised ‘fresh’ milk. Many of our customers think our semi-skimmed milk is the tastiest. JUST MILK is exactly as described, milk and no other ingredients or additives. 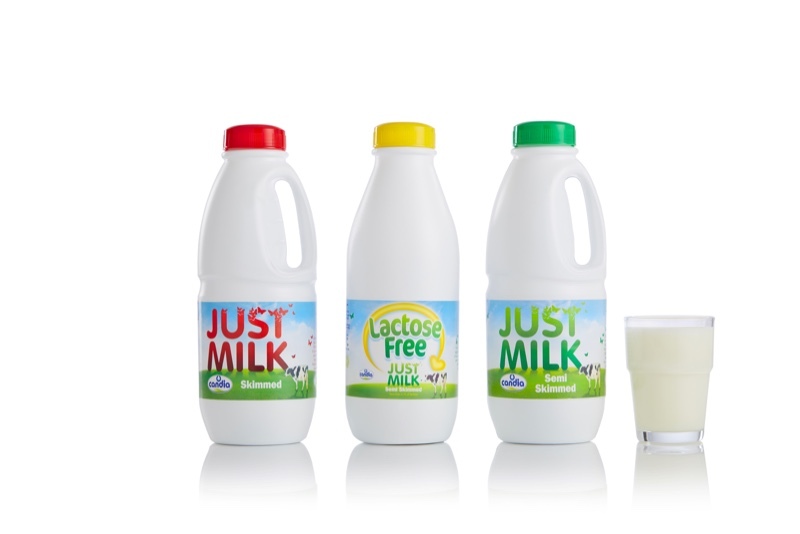 JUST MILK is UHT, long life milk which lasts for much longer than refrigerated milk without cold storage. People love the creamy taste of JUST MILK and find it just as versatile as refrigerated milk. JUST MILK is just what it says. Milk and nothing, but nothing, else. No additives or preservatives.